Xiaomi has launched Redmi 6 in India which comes with Dual Rear Camera and Helio P22 processor Here's Charging Time & Battery Drain Test. Redmi 6 is packed by a 3000mAh battery which comes with 5V 1A Charger in the box, Redmi 5 comes with 5V 2A charger. 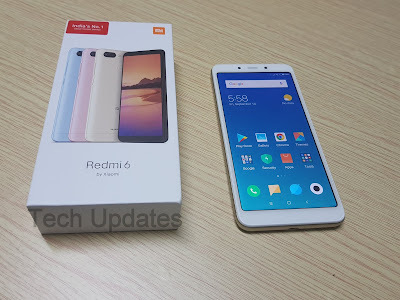 Redmi 6 takes more than 3 Hours charge fully. check out Video below. Xiaomi Redmi 6 has Suppor for Dual VoLTE powered by Helio P22 Chipset. It can last for one single day on Normal use with heavy use 14-15 Hours we have done the battery drain test with continuous use which includes Vide playback, camera, gaming and more we got 7 Hour of Screen on Time. Xiaomi Redmi 6 is priced at Rs 7999 for 32GB and Rs 9499 for 64GB.